Champions offers an after school solution for busy working families with activities that combine fun and learning, together with the safety and convenience of a high-quality program right inside your school. Conveniently located at the front of Cedar Grove Elementary School in the GATE room located next to the Multipurpose Room/Cafeteria, Champions offers a variety of group and individual activities designed to keep your child exploring and growing. From art, dramatic play, math and science to problem-solving, language, motor skills and more, Champions helps your child continue learning and developing essential life skills – whether school is in session or not. 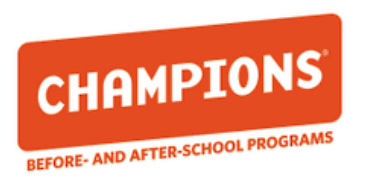 To learn more about the Champions after school program and their pricing, please see the Champions' website.